If you’re tired of looking at your lackluster landscaping but aren’t sure where to begin when it comes to improvement, you may want to give some thought to installing (or redoing) some concrete or stone curbing. 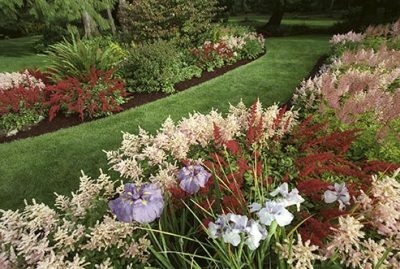 Curbing, or the solid borders that surround gardens, water features, and other landscaping elements, can create a brand-new look for your lawn without requiring much in the way of additional costs. 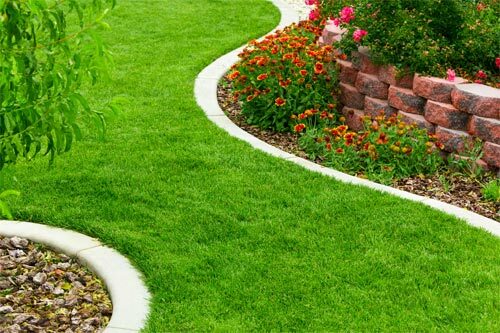 You may be surprised at how much more sophisticated and streamlined your lawn looks after you’ve invested in some new curbing. 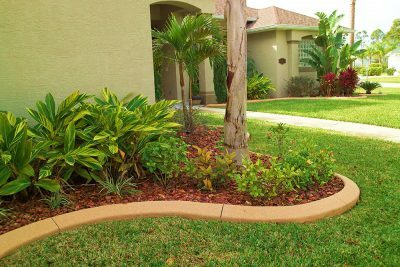 Read on to learn more about three unexpected benefits you may be able to realize by installing or updating your landscape curbing. Real estate agents consistently promote the importance of “curb appeal” when trying to list or sell a home. Homes with high curb appeal (that is, homes that have simple, attractive, and streamlined exteriors, including landscaping) are far more likely to find a buyer quickly, even in a depressed market, than homes that are obviously “fixer uppers” or that will require a bit of work to get in show-ready condition. 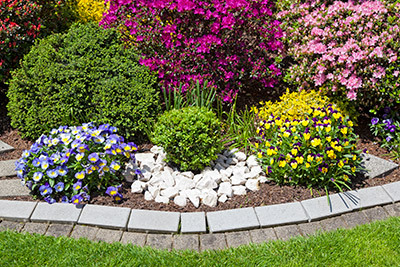 Without landscape curbing in place, your landscape options become more limited. Some homeowners have no border between their landscaping (like mulch or potting soil) and the surrounding grass or adjacent sidewalk, which can create an unfinished appearance that may be a turnoff to potential buyers. Other homeowners may have a thin metal border to contain the mulch. Over time, this border can become scratched and pitted by lawnmower blades and weed eater string, making it a less attractive option. These thin borders can also shift with changes in the ground caused by flooding, erosion, or even just the natural settling of soil, becoming uneven or even falling down over time. By installing stone or concrete curbing instead, you’ll be able to create a seamless appearance that’s much more aesthetically pleasing than your other options. This streamlined and low-maintenance landscaping can catch buyers’ eyes, enticing them to come in for a closer look, even if some of your property’s features might otherwise have been disqualifying factors. Not only can the curb appeal generated by your new curbs make your home easier to sell when the time comes, it can improve the “paper” value of your home even if you have no plans to sell. This can improve your ability to qualify for favorable refinancing and home equity terms, providing you with the cash you need to perform other home maintenance or improvement projects without dipping into your savings or taking out a higher-interest personal loan. One of the chief benefits of landscape curbing is its subsequent reduction in weeds. Not only can having a solid border between grass and garden prevent grass seeds and other unwanted intruders from putting down roots where they shouldn’t be, it can make it much easier to trim any weeds or tall grass that does make it through this initial barricade. Because concrete and stone landscape curbing is designed to stand up to the elements, it is also well-equipped to any abuse a lawnmower (even a riding or zero-turn mower) or weed eater can dish out, remaining stable and strong even when in direct contact with the blades. This can allow you to mow or weed eat directly against the edges of your curbing, enhancing the neat and trim appearance of your lawn and garden. Installing new landscape curbing is almost certain to improve the appearance of your home while improving (and retaining) home value and saving you time on lawn and garden work. Once you get a good look at your neat and trim new lawn, you’re likely to wonder what took you so long. 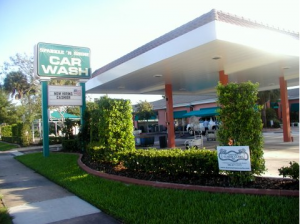 Here at Daytona Classic Curbs Inc, we can help your yard to look neat and beautiful–in less time than you think.